One thing less for haters to steal. There was a time when a Mercedes-Benz hood ornament was considered an essential. Although not quite on par with, say, the Rolls-Royce Spirit of Ecstasy, that Mercedes emblem is still valued, by some owners and many thieves alike. But Car and Driver has learned that after the 2017 model year, the C-Class lineup will no longer feature that standing hood ornament. Apparently, it just looks too old fashioned, especially on a model intended to appeal to younger buyers. In fact, the 2017 C-Class didn’t even feature this ornament as standard; it was part of the $350 Luxury package. 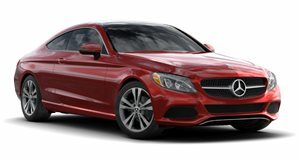 And as it turns out, shelling out another $350 for an S-Class resembling front grille didn’t appeal to anyone under the age of, say, thirty-five. But if you just have to have a Mercedes hood ornament, then don’t worry. 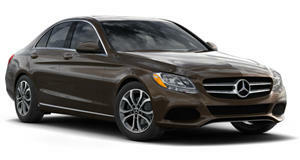 That’s what the larger and pricier E-Class is for, and, of course, the almighty S-Class. AMG models, however, rightly don't offer it. Interestingly, only the American-spec C-Class is now void of the ornament as the Luxury package is still offered in Europe. Those who’ve owned a Mercedes-Benz at some point may have had to deal with the not so cheap cost of replacing that ornament after someone figured it’d be funny to rip it off, literally leaving a small hole in the hood. It wasn’t cheap to replace. Well, that won't be a problem for new C-Class owners.